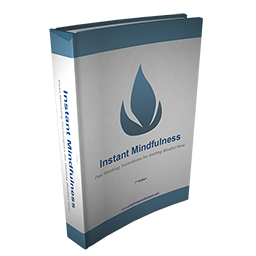 Learn Truth About Mindfulness in The Next Five Minutes By Reading This Now. First things first. Mindfulness, in many cases, is not the hype you’re seeing lately all over the media. It’s not some quick-fix solution to all of life’s problems. While it’s scientifically proven to have beneficial effects, it’s not like a fad diet or magic pill that you take once and change your life forever. It’s war. Plain and simple. Like the movie the Matrix, we all exist in a created reality. That reality is created by many factors both inside and outside of our control. It’s not some conspiracy, it just is. Mindfulness is one tool that we can use to wake up from this false reality. We think we know who we are, until we don’t. The truth is that until we begin to see through the haze, we have only hints to who we truly are. Practicing mindfulness can burn off the fog we live in and show us our real selves. Our core. Our birthright. When we are all in the craziness of this lost world, how are we supposed to just stop and all of a sudden use techniques that we’ve read about on the internet in some lovey-dovey site with pictures of flowers… and that squiggly symbol thingy, and get all “mindful”? Practicing mindfulness is war. Your mind and the world around and inside you is the battlefield. There is no wishy-washy let’s all hold hands, play bongos, and ruin a perfectly good social movement about it. There’s no “special little flower that you are” stuff about it either. It’s war. It’s difficult, and it requires weapons that we are not born knowing how to use. We are not taught how to do this in school. We are not taught about it on the playground. We are certainly NOT taught it in church or temple. Save a few lucky people, our parents are just as clueless as we are and some have damaged us beyond belief, so nope, not there. We don’t learn it on TV, unless you believe reality shows and the rest of the mind-numbing crap is enlightened. Society is clueless, so we don’t learn it there. We don’t learn it in our groundhog day jobs, although there’s a clue in that one for ya. Songs and art contain it, but good luck finding it among the auto-tuned fluff out there. There’s a specific set of weapons that we use. Yeah, I said weapons. This is war, remember? If you want roses and puppies, that will come later. They are there, I promise. You’ll see them, along side the garbage, and you’ll be better equipped to appreciate that stuff for the beauty it is instead of using it to make yourself feel better, or as an escape as you might now. Fighting this war is not done in a hard and violent way, but it’s both active and passive. Active in that it takes energy to practice. Passive in that it is mostly about letting go, which is also active in it’s own way. This war has hardened me, but not in a cynical way or hostile way. Precicely the opposite. It’s made me less apt to just accept all the frilly fluff out there and made me focus on the core of it all. Yes, there’s a core. It’s in all of us. How Do We Fight The War Inside Ourselves? There’s a constant war raging inside us. Our perceptions are battling the truth every second of every day. We are not even aware that it’s happening, but it is. We don’t see the truth in things because there is so much junk between our senses and minds that by the time the data gets processed by our brains, it’s gone through so much garbage that it’s all distorted. You tell someone that “Vernon is going to kill Johnny’s brother at the Savoy Theater tonight”, then they tell someone else, but, because they are a different person, they tell it a bit differently. By the time it gets to the end, it’s completely different and the last person gets to hear a drunken version of “What the Fox Says”. That’s our operation right now. That’s how we go through life. That’s a main reason that the world is so damn stupid right now. We are all lying to ourselves day in and day out without knowing it. Heck, it’s been like this for MILLENNIA, but we just get to see it all now because we have YouTube and Twitter, and Vine, and Instagram, and the ever-present Facebook. So How Does This Relate to Mindfulness? Practicing mindfulness will give you the weapons and the training that you need to fight this war. If you go to any random site out there and just follow their “how to” stuff, you’re going into battle naked and unarmed, unless it’s either really good or your are very perceptive. You may have done this already. Maybe you have had luck. If so, awesome. Congrats. Most will be frustrated after realizing you might need way more than a few “how to’s”. Practicing mindfulness is not a tutorial, it’s a lifestyle. Use this site to learn how to practice mindfulness. Start at the beginning. It starts with learning relaxation techniques. You calm your body. Then it moves on to how to quiet the mind. This is important to help you cut through the clutter of your thoughts. If you can’t quiet the mind (it’s not like silencing, but more like accepting the flow), you’ve lost the battle. If you lose these battles, you lose the war. The mind never really blanks out, but we bring order to chaos, remember this. The next section is about mindfulness exercises. These are exercises that you can use to get your mind to focus on your feelings and the present moment. They are useful for a variety of different reasons, and can be used in conjunction with meditation to get present, which is useful as a technique, but not the end goal of mindfulness. Then move on to guided meditations. This is a good way to go without access to a teacher. Of course, you could just jump around, but that’s up to you. I’ve given you a map, tools, and some training. See what you can accomplish. This site is meant to go in order. 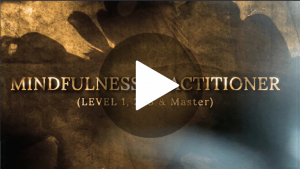 Follow this order and learn to practice mindfulness and meditation. After going through this, you should have a solid foundation. 1. Relaxation Techniques – You need to relax first. Everything is easier this way. 3. 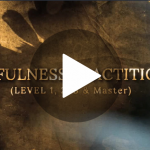 Mindfulness Exercises – Learn to get into the present moment. Life is better this way. This paves the road to deep meditation. 5. 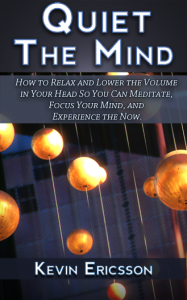 Resources Page – This is a collection of resources that will help you learn mindfulness. There are other sites, courses, and products that can help you on your journey. Some are paid, some are free, and all are good. 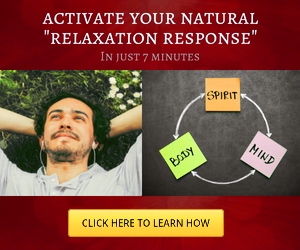 Click here to start learning about relaxation techniques and why I feel it’s a great place to start. Kevin! You’re website is exactly what so many people, like me, have been looking for…mindfulness and meditation is much more relatable when spoken like a normal, cool person. I look forward to your emails and will spread the word. Rock on. Thanks Holly, there’s way more coming this year too! That’s a great question David! Mindfulness is a type of meditation for people who are struggling in dealing with anxiety, negative thought and depression problem. Chris, you’re right… And… It’s also so much more! Thanks! What about music or sound therapy in order to relax and fall asleep quickly at night time? Sure! I love using music to chill out at night and relax sometimes. You can listen mindfully as well, and pay attention to how the music triggers thoughts and memories, and how that makes you feel. Music therapy is really good, it refreshes your mind and relaxes your brains at the same time. Practicing mindfulness or meditation is really required for people who need more concentration while doing something. Harrison, it certainly may be helpful! That’s been my experience at least. Meditation also helps in dealing with drugs or alcohol addicted people as it copes in letting them have a good decision. So is meditation good and helpful for everyone? Justin, like with everything, some people benefit greatly, while others, not so much. 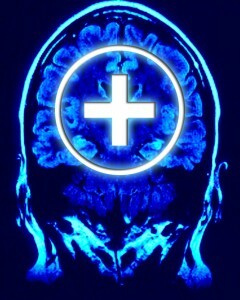 while we all have the ability to do it, our brains are wired slightly differently from person to person. It would be nice if it worked for everyone immeditely :). That’s just not the case though. Anyone can practice meditation as it’s simple and inexpensive, it doesn’t require any special equipment. Chloe, that’s true for the most part. It is free. That said, some people need guidance and practice as they have trouble with certain aspects of it. Like with anything else. Thanks!